Michelle Guthrie’s ambition was to visit every ABC office in the country before she finished her five-year term at the helm of the public broadcaster. In the end she made it only to about half. On Monday, the board announced it had sacked the former Google and News Corp executive after just two years and four months, citing a need for “fresh leadership”. For a private person, this very public termination was devastating for Guthrie, who says she is considering her legal options. The ABC’s first female boss was never comfortable with the high profile that came with her position. In her previous roles as a senior executive in Asia at tech giant Google, as chief executive of Star TV in Hong Kong and working for BSkyB in London and Foxtel in Sydney, Guthrie operated mostly behind the scenes. “I was very anonymous working in Singapore at Google,” she told The Australian Financial Review in previously unpublished comments during an interview at the ABC’s Ultimo headquarters in late July. “I wasn’t in the papers. I was quite anonymous and I quite liked that. I understand the need to represent the ABC and I understand the need to make sure I spend time with stakeholders in government and the community, but that’s not my natural habitat. “There’s a lot to do,” she said. However, it appears Guthrie didn’t spend enough time on her relationship with staff or the board. Her ouster, which is not without precedent (Jonathan Shier departed abruptly in 2001) was ultimately triggered by a clash with chairman Justin Milne. At the centre of this clash was a fundamental disagreement over strategy. Guthrie, often criticised for her lack of hands-on editorial experience, argued in her parting statement on Monday that content was of “primary importance”, while the technology to deliver that content was “a distant second”. This was a small hint of an underlying power struggle. Milne, in his public comments, has been much more focused on technology delivery and has made it clear he is driving the broadcaster’s ambitious transformation plan, dubbed “Project Jetstream”, to build a huge digital database for all ABC content. The giant iView – with news footage, segments, rushes, archives and audio-visual that would eventually replace traditional television when it was turned off – requires additional government funding and will take years to develop. Milne wanted it prioritised, but Guthrie was pushing back. This clash came to a head in recent weeks just as the ABC is set to prepare its submission for the next round of three-year funding. Bubbling along underneath this clear disagreement over strategy was general discontent among the ABC ranks, starkly illustrated on Monday with a tweet from Four Corners executive producer Sally Neighbour, who described Guthrie’s sacking as an “excellent decision”. One major faux-pas took place at the end-of-year Four Corners function in November 2016, when Guthrie told the program’s staff, it should be kinder to business and do more positive profiles of successful corporate leaders. 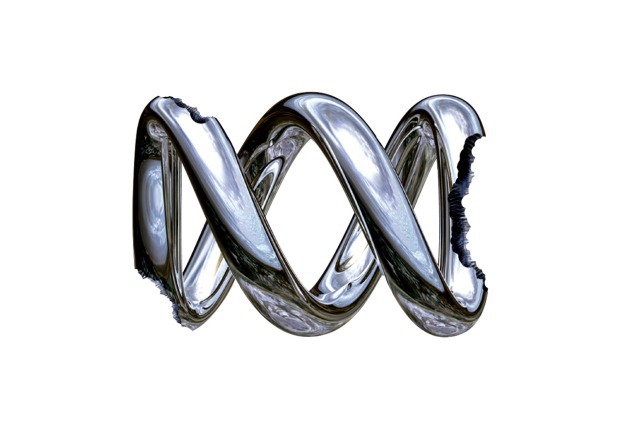 Guthrie had an uneasy relationship with senior journalists and producers at the ABC, who questioned her commitment and understanding of what the ABC was there to do. One major faux-pas took place at the end-of-year Four Corners function in November 2016, when Guthrie told the program’s staff, it should be kinder to business and do more positive profiles of successful corporate leaders. This was after a year in which Four Corners had helped lead the Panama Papers investigation. “Jaws just dropped,” said one person, who was there. Back in July, Guthrie gave no hint of the tensions in the background. She said nostalgia had drawn her to the role. Guthrie, who was born in Sydney but had been living in Asia for 15 years, was looking to return to Australia so her youngest daughter could finish school here. At first, she started casting around for board positions, but then the ABC role came up in 2016. At the time, she was seen as an unusual pick. She was the first female appointed to the position in its history, had no real journalism experience and had been living out of the country for over a decade. She had also spent 13 years working for the Murdochs at News Corporation, hardly a friend of the ABC. Guthrie worked across a number of roles at News Corp, starting out in the legal department of BSkyB in London, where she says her mentors were Australian media heavyweight Sam Chisholm, who died earlier this year, and Seven Network’s commercial director, Bruce McWilliam. “I was at BSkyB in the mid-90s with Sam and Bruce at a time when we were losing lots of money,” said Guthrie. Guthrie came back to Australia and worked for Foxtel for a couple of years before heading to Hong Kong where she was eventually appointed chief executive of Star TV. After that every Monday morning, Chisholm would ask Guthrie what she had watched and liked or not liked on television over the weekend. At the ABC, Guthrie sought to make changes by lifting the geo-block on live streaming of ABC News so that it can be viewed everywhere, announcing plans for ABC iView, the broadcaster’s online streaming service, to become a global product similar to Netflix and using different platforms like Facebook, Youtube, Google, Netflix and Apple more effectively. Her signature policy was the “Investing in Audiences” strategy, which involved $50 million of new funding for content ideas from employees, a 20 per cent cut in management jobs and expansion of rural and regional offices. However, perhaps even more crucially than managing relations with the board, Guthrie failed to bring the staff along with her. One senior ABC source said her audience strategy was “hated by staff” because it was seen as superficial and placing marketing in charge of content. There were also question marks over whether Guthrie defended the ABC adequately from government attacks and at Senate Estimates hearings and was committed to securing more funding. As a result, when it came to the power struggle with Milne, she was left with few supporters. May 2016 | Former Google, BskyB and Star executive Michelle Guthrie takes over from Mark Scott as managing director of the ABC. Moves from Singapore to take the job on a $900,000 salary. November 2016 | Angers both rivals and public broadcasting puritans by announcing a deal with Netflix to help finance show production in return for Netflix having streaming rights abroad. Says ABC must go online to service viewers, saying her daughters never watch broadcast TV and probably never will. March 2017 | Announced big changes at the state broadcaster, including sacking 20 per cent of management and using the savings to boost regional broadcasting and content creation. April 2017 | Justin Milne becomes chairman of the ABC. November 2017 | Guthrie reveals plan to create content across all ABC platforms, ending the traditional splits between TV, radio and online divisions. May 2018 | Attacks the government’s budget, saying that $84 million in cuts couldn’t be absorbed by the broadcaster in efficiency savings. July 24 | Justin Milne reveals plan for “Project Jetstream”, a huge and costly digital database to help transform ABC into a post broadcast, digital media provider. Guthrie reportedly disagrees with him, arguing that content is key. August 2018 | Guthrie faces criticism over ABC plans to move into lifestyle projects. Opponents of the move point out that Australia has no shortage of lifestyle media offerings. September 2018 | Relationship between Guthrie and the board is reportedly frosty. 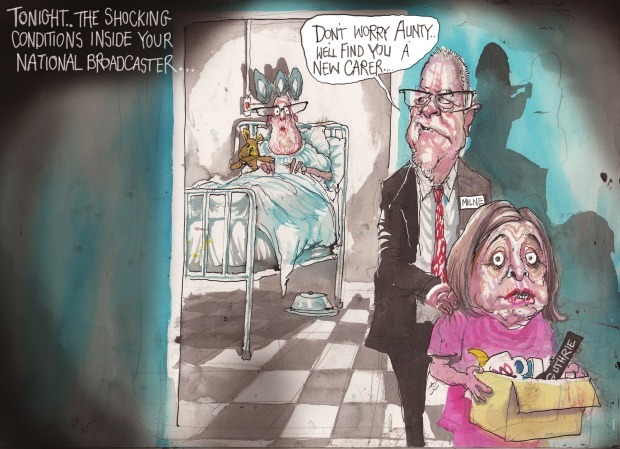 September 2018 | Michelle Guthrie is sacked by the ABC board, citing the need for new leadership at the broadcaster. Next articleAre You Ready for Samsung’s Foldable Phone?